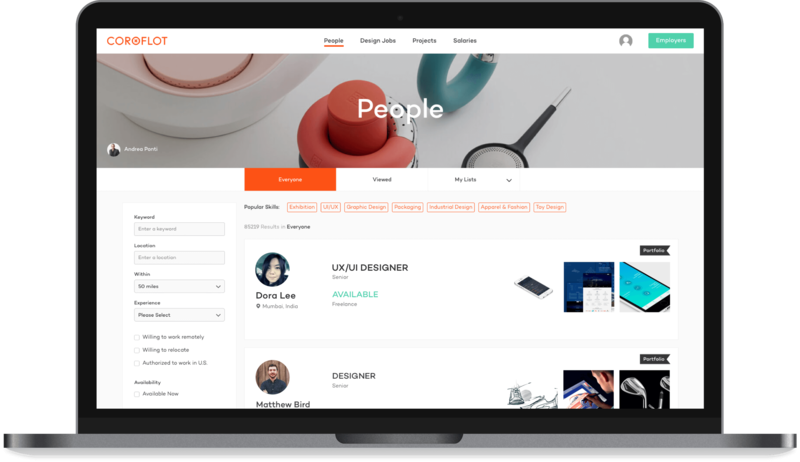 Put the most diverse curated pool of creative talent at your fingertips. 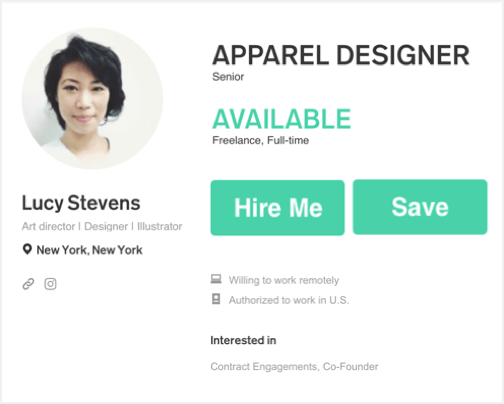 Review professionals’ work history, career preferences and portfolio all in one place, then reach out directly through our built-in messaging to schedule an interview or book a gig. The community aspects of Coroflot make it a part of our talent’s creative routine, translating into an active candidate pool with better chances of rapid response to inquires. Our vetting process ensures designers specify relevant skills, experience and critical data points such as availability and willingness to relocate. 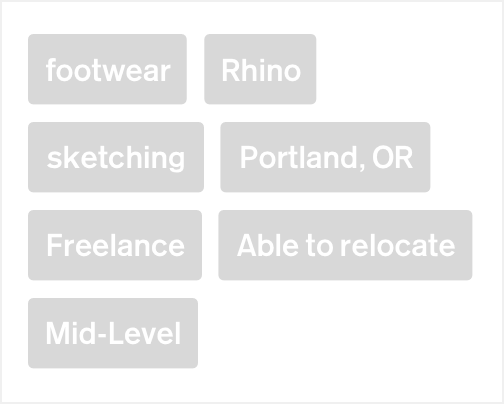 Bookmark any profile you find relevant and organize the results of your searches into an unlimited number of candidate lists. 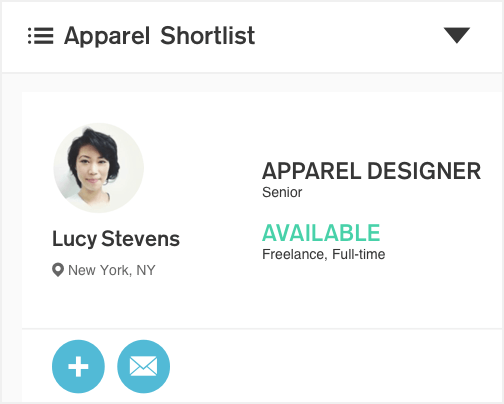 Every designer in Pro Search can be contacted directly via the Coroflot platform, so you can skip ineffective social media and email outreach.